Sabine Omvik is a certified Doula, whose passion for the childbirth process dates back to her own birth experiences in the mid-90's. The lack of support she and her husband received throughout her labor and delivery inspired her to help others and pursue this loving line of work. Since 1999, she has worked with hundreds of families providing prenatal and labor support as a birth doula. Also offering postpartum support for her own clients if needed. 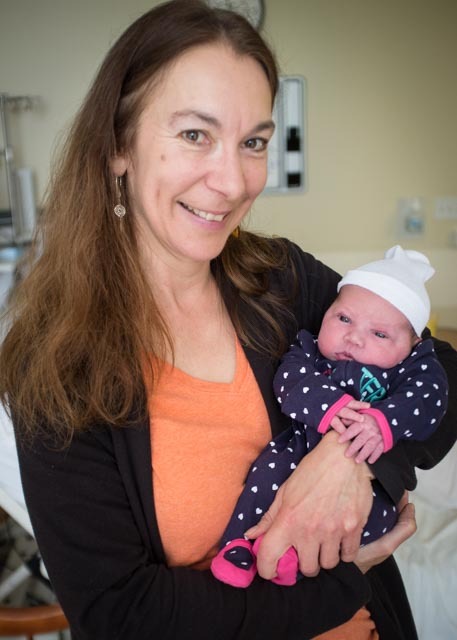 She moved to Santa Cruz in 1998 and became an active nursing mother counselor right away. Her approach is non-judgemental, educational based and compassionate throughout pregnancy and labor. She believes in empathetic listening and the sharing of evidence based options. She believes her job is to share information with you and supporting you in making the best decisions for YOUR family. Welcome your baby into the world as best you can feeling knowledgeable and empowered. You deserve to have an experienced doula that you feel comfortable with. Let's schedule your free, no-obligation interview to see if I would be a good fit for you and your partner. Click the button below, and I'll see you soon!